Saeed Govahi has more than 25 years of sales and marketing experience in various technology industries. 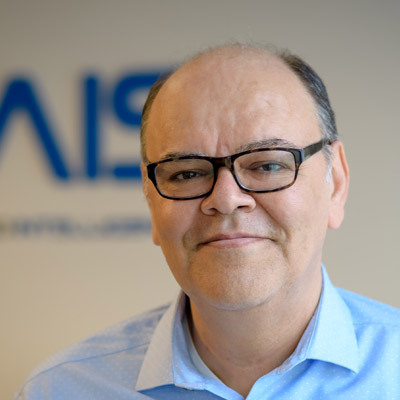 Prior to joining AIS in 2017, Saeed acquired extensive business development experience at Quartz Computer which he co-founded in 1985. The company was instrumental in the creation of more than 100 Farsi and Arabic fonts, as well as the design and implementation of automated solutions for the top five most published Farsi language newspapers in the world. Saeed is a skilled marketing professional credited with achieving numerous businesses success across the globe, and has long-term experience with multi-nationals such as Xerox Canada. Mr. Gohavi holds a Bachelor Degree in Marketing from Azad University in Tehran.